​Adults are a unique age segment that require high levels of attention to detail - both in terms of educational content as well as operational smoothness. Our Travel Specialists can connect your group with thought-provoking, informative and enjoyable activities and speakers. Road Scholar educational adventures are created by Elderhostel, Inc., the not-for-profit world leader in lifelong learning since 1975. Terra Education designed a service-learning program for them. Road Scholar’s sophisticated audience demands quality programming, meaningful volunteer projects and boomer-friendly accommodations. Discover Corps is an international grassroots travel program that offers all-inclusive volunteer vacation packages to 9 countries throughout Africa, Asia and Latin America. They specialize in trips for baby boomers and their families. These one to two week trips combine citizen diplomacy, hands-on volunteerism, cultural connections, and engaging exploration to create an authentic and meaningful travel experience. 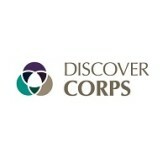 Terra Education is the exclusive representative for Discover Corps in the United States.